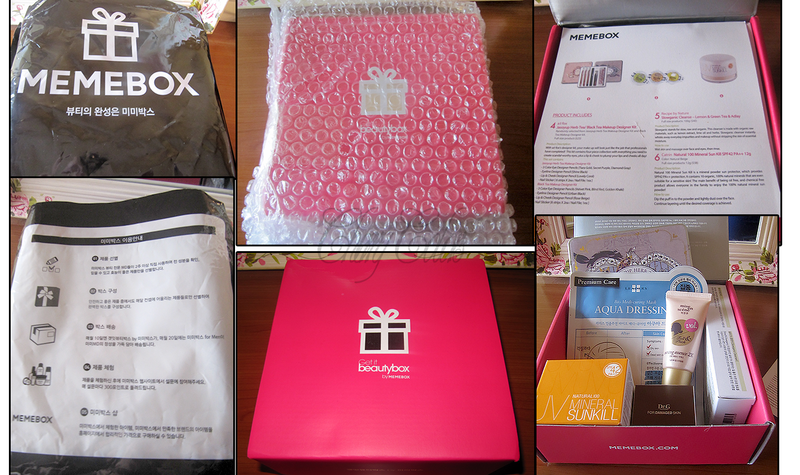 Memebox #7 - Cherry Colors - Cosmetics Heaven! I was looking at these memeboxes for a while before I decided to buy one. And guess my luck, as soon as I ordered one there was a notice that they won't be shipping outside US, Canada and Japan. Which is too bad, since well.. those were quite some deals with these Memeboxes! Anyway, they went a bit crazy since the first box and created so many boxes that they are now on nuber 12 of the regular global boxes and a bunch of other special boxes. Woot? When I first heard about them (about two months ago) they were only at the number 4! So, the order process was fine and nothing special. I ordered, paid via paypal and then the waiting began.. The box was shipped on March 18th and I got it about 9 days later which is fantastic! I was expecting something more from this box, but I am not disappointed. Sadly most of these items won't be used by me, since.. you know I don't need them - but they will end in one of my following giveaways. It seems the whole box is worth $95? I paid $23 + $6 shipping. I think the prices are a bit inflated IMHO. Two masks, and they seem pricy ($6 for two masks??). They are made with coconut jelly and I love coconut! I will give one of these away in a giveaway. I am curious about them. This is a leave-in hair treatment. I have enough of hair stuff, so again this will end in a giveaway. It is my first time hearing about this brand, too. 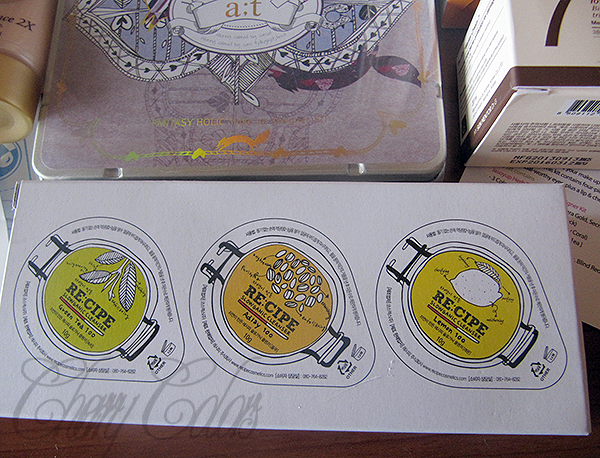 I really like the packaging of these samples. They look cute and funny. 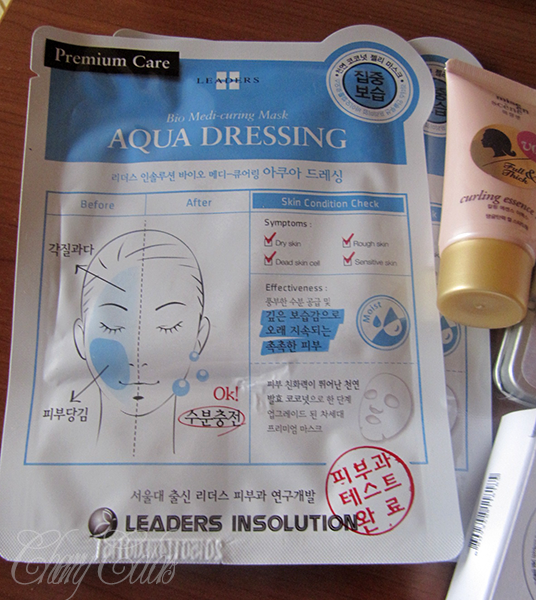 I will be uisng these and I hope they won't dry out my skin. Oddly enough only one sample had a plastic lid on. 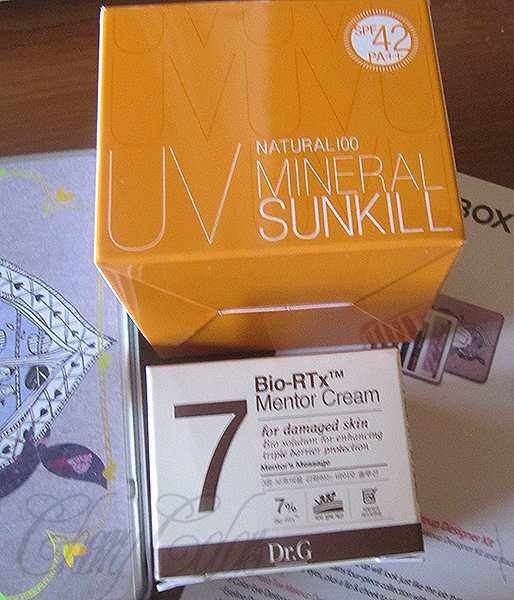 Memebox sent three versions of these creams out. I got the #7 which is meant for damaged skin. I am not sure what does that exactly mean (scratched? dry? dehydrated?? ), but it seems interesting. I like the cute little box. This is some interesting product. It's a brand I've never heard of, but it looks expensive. At least the price tag says so ($38). I hope it compares to my other powders. It feels like this box is more summer themed? Maybe because of this product? At first I thought it was a sunscreen because of the packaging. I was really excited to see a palette in this set. Well until I opened it. 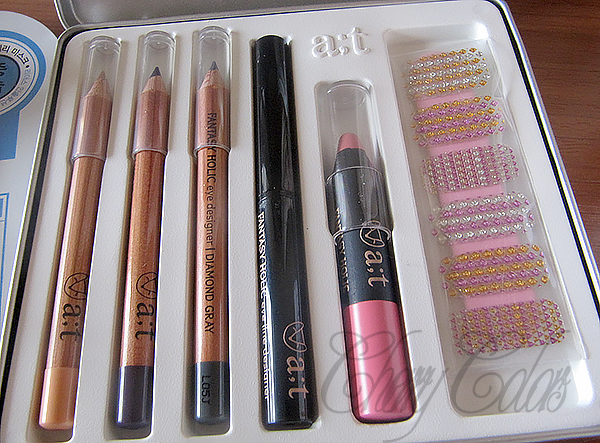 It contains three eye pencils, one lip pencil, a eyeliner and some nail stickers. 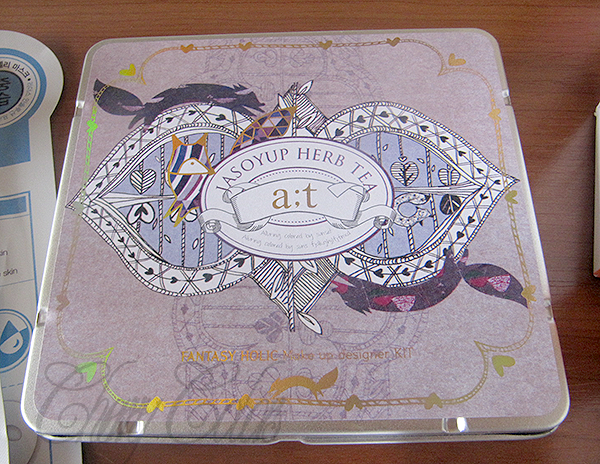 The nail stickers are really cute, and I am curious about the lip pencil but it goes straight to my giveaway box. 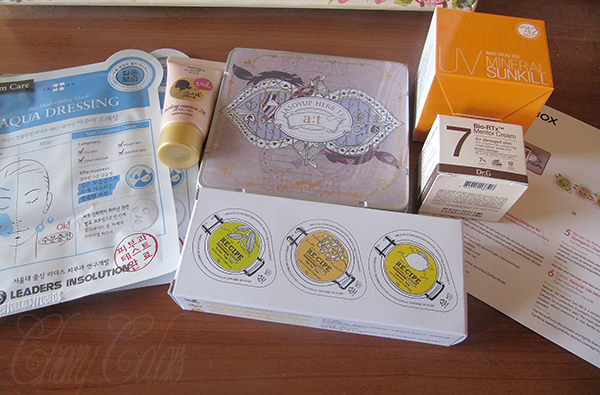 Overally I am OK with what I got, even if I will be using like 3 products from the whole box. But I still feel like it was worth the price tag, just it's too bad that I can't get more of them. Did you get any of the current Memeboxes? How did you like them?